MANHATTAN, NY The Moinian Group’s Oskar is a new Midtown West residence that has taken a unique approach to amenities, focused on the tech-savvy millennial. Gone are the days of unused amenity spaces, as this new rental building is offering a suite of personalized, tech-based services for all residents upon move-in. For the team at Oskar, the idea was straightforward – instead of creating an amenity that can only be enjoyed outside the home, they decided to bring the amenities to the residents’ fingertips. Each of Oskar’s in-home, on-demand services are accessible through an app on a mobile device, making residential living as seamless as ever. The collection of amenities at Oskar include art curation and concierge service Tappan, moving and storage service Clutter, personal interior design service Homepolish, transportation service Chariot and a wine sommelier through local wine store, Veritas Studio Wines. In addition to the customized partnerships, the building also offers Nest thermostat technology and private Wi-Fi networks in each apartment, which also function on a mobile device. 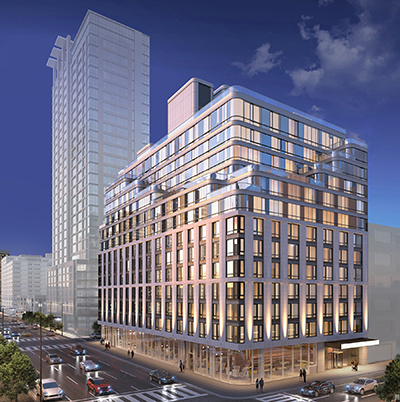 Located at 572 11th Ave., Oskar is a 14-story residence. Each of the property’s 118 studio, one and two-bedroom residences feature entry doors with smart locks, taupe oak wood floors, and floor-to-ceiling, bay-like windows that provide each space with sun exposure and city views. In addition to this suite of seamless living partnerships, Oskar’s lobby showcases a commissioned, custom-designed sculpture by artist Arik Levy, and the property’s corridors will display an array of contemporary art installations by Phillip Michaels. 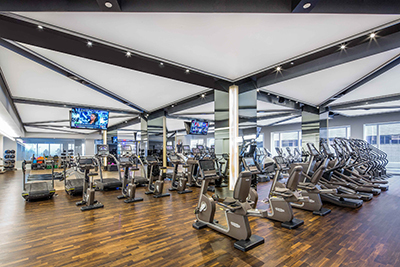 Residents also have access to Life Time Athletic, the fitness center offered at Sky, and 24-hour concierge service.